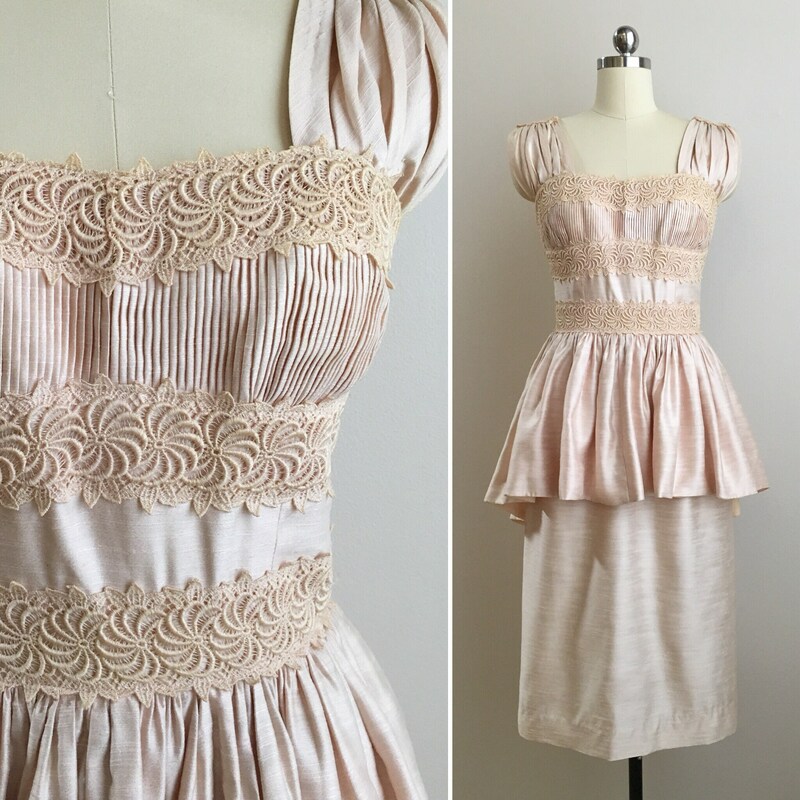 Vintage 1950s women's light pink sleeveless formal dress with floral lace detail and tiered peplum skirt. 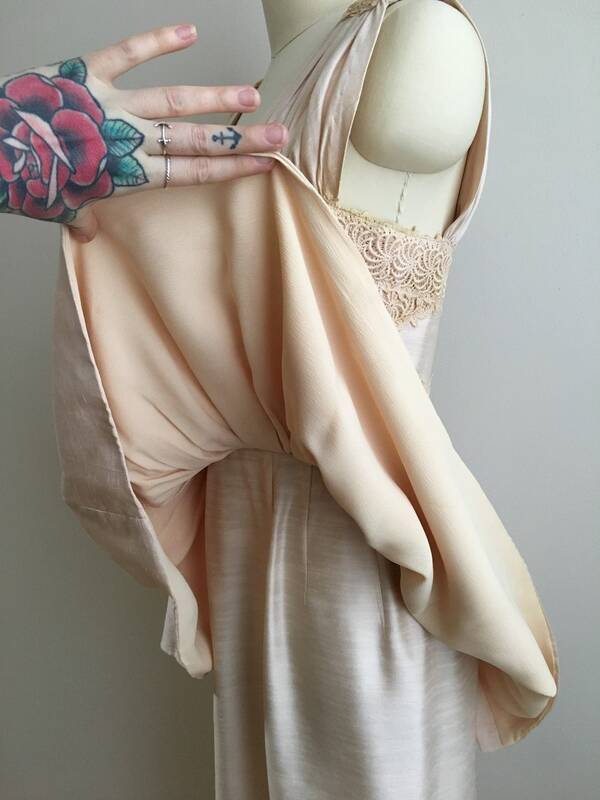 Near perfect vintage condition; very light wear to fabric from age and use. One small fabric / fiber content anomaly on back of peplum skirt near zipper (very small section of blue fiber on pink fabric; see photo). No other flaws to note; no holes, rips, stains, markings, areas of discoloration, open seams, snags or signs of stress on seams. 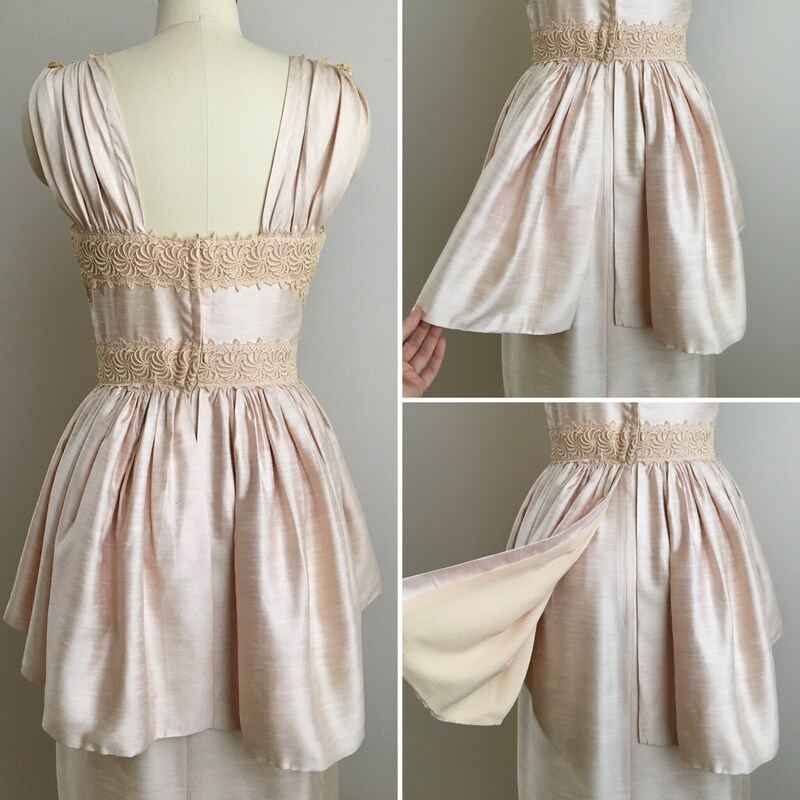 Bodice is a sleeveless design with wide, gathered straps that have a panel of lace at the top of the shoulder (see photos). 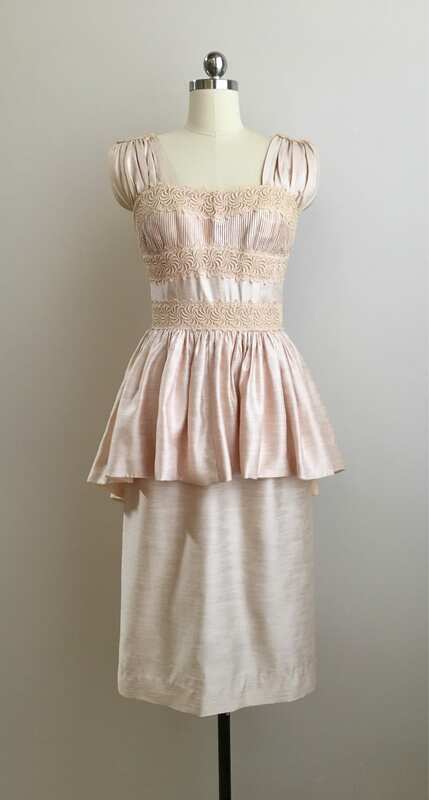 Bust line is a sweetheart shape with lace trim at top, underneath at under-bust, and at waistline. 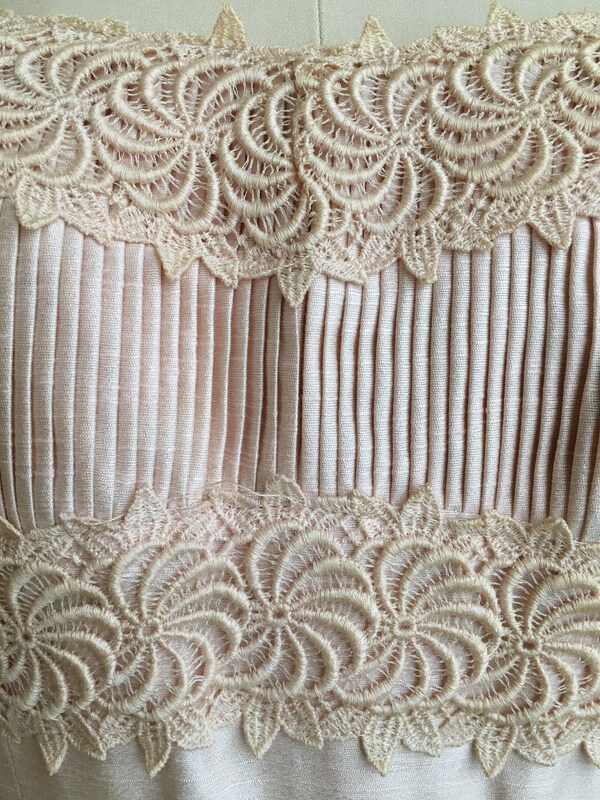 Bust area has small vertical pleats. 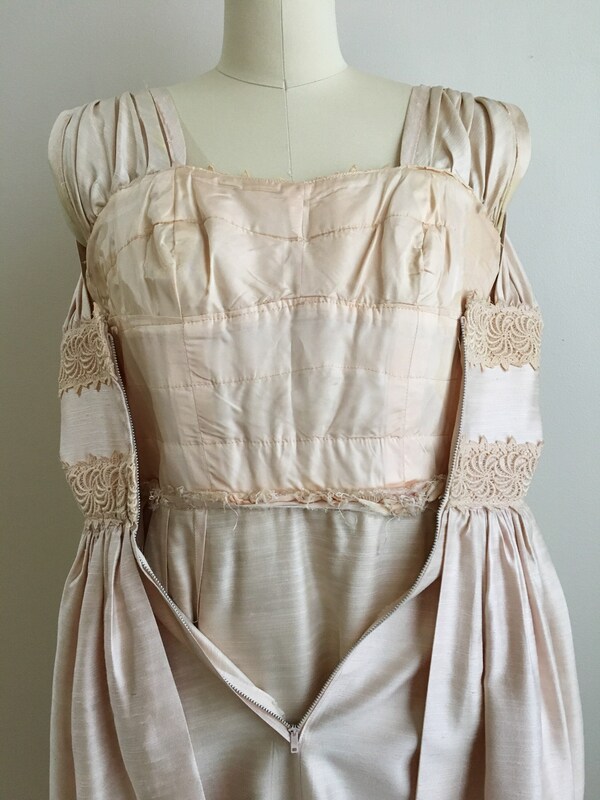 Bodice is lined and lightly padded on inside (see photo). Peplum skirt gathered and attached at waistline that is shorter in the front with a longer length in back and opening for metal zipper. 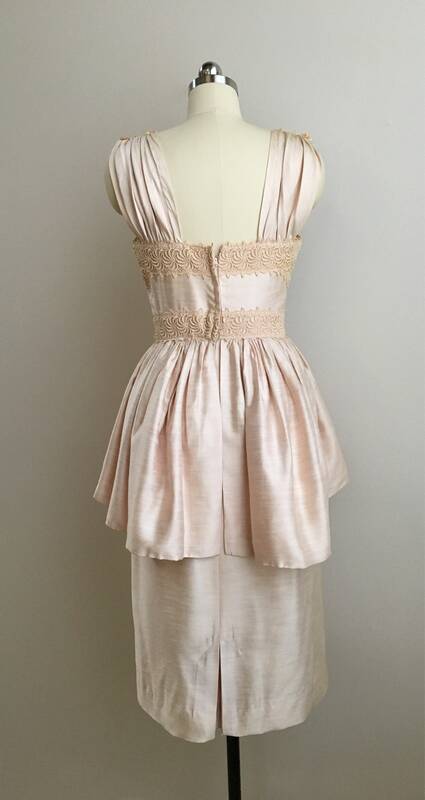 Peplum is lined underneath with light peachy crepe fabric (pictured). Fitted pencil skirt underneath peplum; no lining inside. Metal zipper down center of back with one hook-and-eye closure above. Zipper is in great working condition with no issues. 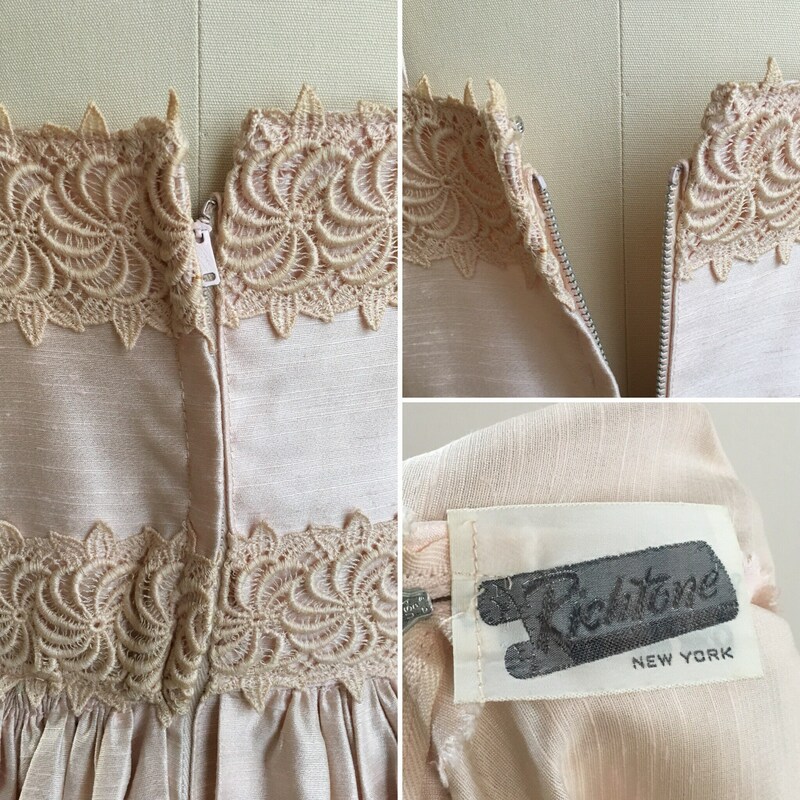 Made by Richtone New York. 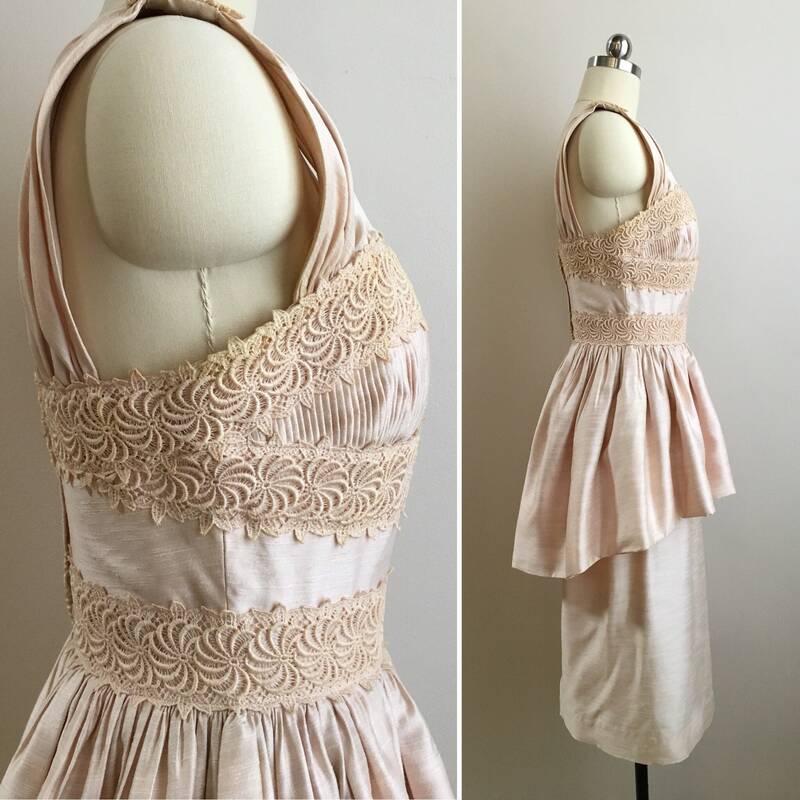 Dress is larger size than mannequin; dress pinned to fit mannequin. 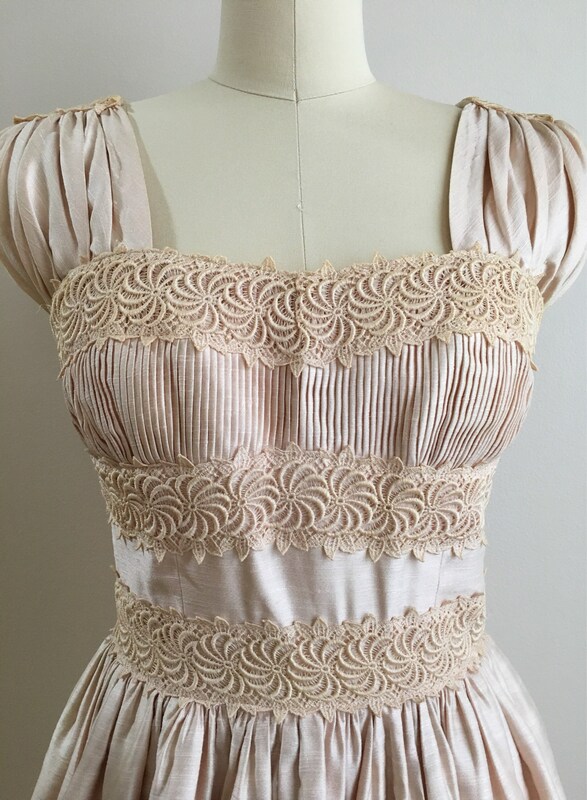 Center bust / bodice to waist: 9"
Center of back to waist: 6.25"